This five day fun-filled and informative conference includes two days of pre-conference tours, a pre-conference intensive on the late 19th century American awakening of interest in Western esoteric traditions, and two full days of speakers focused on the intriguing subject of Magic in the tradition of The Brotherhood of Light. At this years conference you will discover how the mind yields influence over one's physical environment and how it's possible to direct this influence toward living a happier, more successful and spiritual life. Church of Light Conferences are a wonderful opportunity to meet like-minded people who share your interest in The Brotherhood of Light teachings. Pre-Conference Tours: For those of you who are planning to make New Mexico your vacation destination, we have organized two exciting day trips. Day 1 Wednesday, June 21: Enjoy a day in Santa Fe where we visit Museum Hill & Meow Wolf's House of Eternal Return. Museum Hill in Santa Fe showcases four museums, a botanical garden, and a restaurant. The Museum of Indian Arts and Culture (MIAC) has a stunning collection of Native art and cultural artifacts related to the Indians of the Southwest. The Museum of International Folk Art displays the largest collection of folk art in the world, with 130,000 objects from 100 countries. MOIFA’S EXTENSIVE collection of talismans, amulets, ex-votos and ritual items directly relate to the theme of our conference. The Wheelwright Museum of the American Indian, New Mexico’s oldest non-profit, independent museum, offers unique exhibitions of contemporary and historic Native American art and Southwestern Jewelry. The Museum of Spanish Colonial Arts collects, preserves, and exhibits the Spanish colonial art and living traditions of New Mexico and beyond. The Santa Fe Botanical Garden is sited on 14 acres and has hiking trails that display the rich botanical heritage of the region with an emphasis on xeric and low-water use plants. The Museum Hill Café offers panoramic views of Santa Fe and the surrounding mountains along with good, fresh food and beverages. 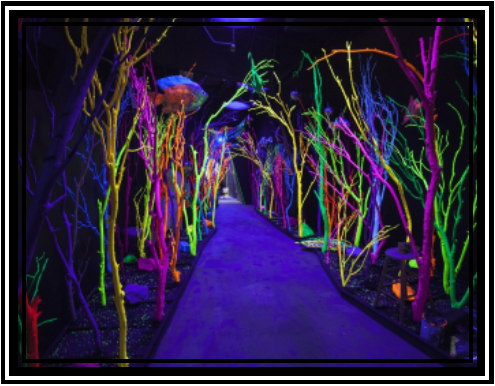 Meow Wolf's House of Eternal Return is a magical art experience: part jungle gym, part adult fun-house, and an interactive art exhibit that transport audiences of all ages into fantastic realms. Here you will enter a mysterious Victorian house that has dissolved the nature of time and space creating a multiverse of uniquely different realities. Explore your own magical thinking as you stroll, climb or crawl through 22,000 square feet of mind-stimulating, conceptual art environments. 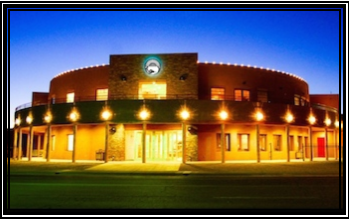 Day 2 Pre-Conference Tour: Visit Albuquerque's Indian Pueblo Cultural Center and The National Hispanic Culture Center. New Mexico’s unique ethnic diversity can be explored in two important Albuquerque cultural institutions, the Indian Pueblo Cultural Center and The National Hispanic Culture Center. The IPCC is the preeminent place in Albuquerque to discover the history, culture and art of the 19 Pueblos of New Mexico with a permanent collection of 2,500 works of art and artifacts in newly remodeled exhibit galleries. Lunch will be at the Pueblo Harvest Café, a unique restaurant known for its unusual Native fusion fare that incorporates traditional Pueblo ingredients into contemporary cooking style. The National Hispanic Cultural Center is dedicated to preserving, promoting and advancing Hispanic arts and culture. Located in the Barelas Barrio on 20 acres along the Rio Grande River, the campus includes a visual arts gallery, literary arts center and three theaters in the Roy E. Disney Center for Performing Arts. We will visit the Torreon, which houses the largest concave murals in the nation, by fresco artist Frederico Vigil, titled Mundos de Mestizaje which describes in imagery the evolution of Hispanic culture from the Iberian Peninsula to the New World. American awakening of interest in Western esoteric traditions. Late 19th Century America was a time when esoterically-inclined Americans were delving into yoga, Sufism, Platonism and the tarot. During this epoch the U.S. underwent an occult renaissance with the introduction of two esoteric organizations: the Theosophical Society (TS) and the Hermetic Brotherhood of Luxor (HB of L). Central to both organizations was Thomas Moore Johnson, a small-town lawyer from western Missouri, often referred to as the Sage of the Osage. Johnson was the publisher of The Platonist, a short-lived but influential journal printed intermittently between 1881 until 1888. A prolific writer, Johnson maintained correspondence with key figures from the early years of America's occult revival. Author K. Paul Johnson has recently edited a volume of more than 200 of Johnson’s letters in a book titled: Letters to the Sage Volume One: The Esotericists. This intriguing tome reveals the relationships, spiritual investigations and organizational struggles of several key figures seminal to the early years of the Hermetic Brotherhood of Luxor. In this 3-hour intensive titled, “A Stellarian Readers’ Guide to Letters to the Sage,” K. Paul Johnson will guide us through the lives and correspondence of several individuals who were to play key roles in the early days of the Hermetic Brotherhood of Luxor and The Brotherhood of Light. The Annual Business Meeting is a great way for the membership to become informed about activities and goals at Church of Light Headquarters. As a membership organization, this is also your opportunity to vote for directors and give your input on any items of discussion. The business meeting will be held Friday afternoon, June 23, at 4 p.m.
Initiations are a highly-anticipated feature of our conferences. They are a time when new members are formally inducted into the organization, as well as marking grade and degree changes. This inspiring ritual will be officiated by Hermetician members of The Order of the Sphinx on Friday evening, June 23. Please let us know if you would like to participate in the Ritual of Initiation by checking the appropriate box in the registration form. If you have any questions about your eligibility or grade level, feel free to contact us at headquarters by June 1, 2017. 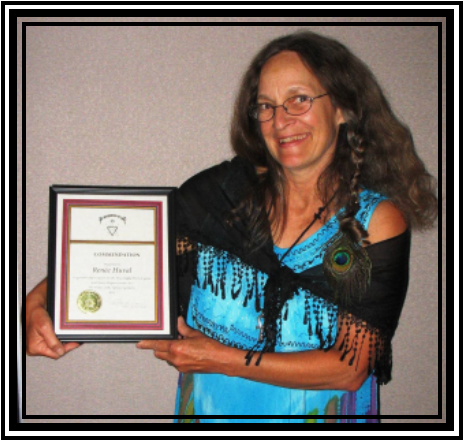 Stellarians love to celebrate, and no conference is complete without an Awards Banquet, entertainment and dance party. At the Awards Banquet, we recognize Church of Light Members who have provided some exceptional service to the organization over the previous two years. Saturday evening will showcase an unforgettable performance by local magician, Chris Zaccara. Originally from rural Louisiana, Chris began to explore stage magic in 1996, after moving to Albuquerque. He received much of his professional training at The Magic and Mystery School in Las Vegas, Nevada. Locally he has worked behind the counter at a couple of magic shops and as a restaurant magician. 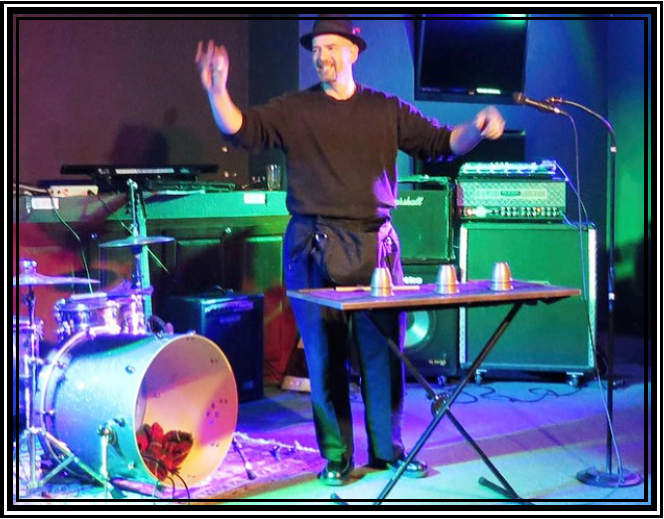 Chris loves to demonstrate magic and is a popular performer at private events. Saturday night’s Awards Banquet and entertainment will be followed by a Magician’s Ball. This is a time to party with friends old and new. Be sure to pack your dancing shoes and something magical to wear. 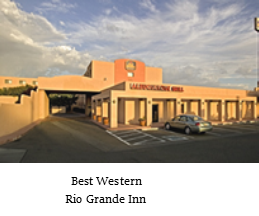 By popular demand we have again chosen the Best Western Rio Grande Inn to host our 2015 Conference. Located in Albuquerque’s historic Old Town district, this classic Southwestern inn offers warm hospitality, cool drinks, and excellent regional cuisine. The Inn is walking distance to numerous unique shops, restaurants, galleries, and museums. A complimentary shuttle is available to transport you to and from the Albuquerque Sunport, Old Town Plaza, the Albuquerque Biopark and numerous museums. Our special conference 2017 rate is $88 a night (plus tax) for up to four adults to a room. The group rate will expire May 20, 2017; we strongly recommend making your reservation in advance. Please call (800) 959-4726 to make your reservation, to receive our special group rate be sure to identify yourself as a Church of Light member or friend.